If you are a fan of white chocolate as well as a cocktail connoisseur, consider trying a white chocolate Martini. This cocktail is perfect for dessert and also works as an anytime sweet treat. With all of the recipes on the Internet, it can be overwhelming trying to figure out how to make specialty Martinis. The white chocolate Martini is no exception. Most recipes for this drink rely on a few basic ingredients: vodka, heavy cream, white chocolate liqueur, white chocolate shavings and ice. It's not necessary to purchase a high end vodka, since it will be mixed with so many other flavorful ingredients. Some people prefer to use vanilla or chocolate infused vodka for a fuller flavor. You can purchase such specialty vodkas at liquor stores, or you can try infusing your own at home. The key ingredient is the white chocolate liqueur. Although it can be expensive, it can really make or break the cocktail. Popular brands of white chocolate liqueurs include Godiva and Godet. As an alternative, you can melt white chocolate into the heavy cream and add simple syrup for extra sweetness. Creme de cacao is an acceptable substitute for white chocolate liqueur, but it may not taste as authentic as the liqueur. Some people choose to simplify the process by purchasing white chocolate Martini mix instead of flavored liqueur or vodka. Both Dove and Harry & David make these mixes. You can sometimes find them at specialty retailers, but you will probably need to order them online. Now that you've assembled all of your ingredients, the process of making this Martini isn't much different from making a regular chocolate Martini. Combine an ounce and a half of vodka, an ounce each of white chocolate liqueur and heavy cream and a handful of ice cubes. Shake or stir your drink, and then strain it into a chilled Martini glass. Garnish your Martini with white chocolate shavings for extra flavor, or drop in a Hershey's Hug, which is made of white chocolate with milk chocolate swirls, or a Hershey's Kiss. Add raspberry liqueur for a tangy, fruity version, and garnish the drink with a fresh raspberry. For an extra jolt, add an ounce of chocolate liqueur, and garnish the drink with espresso beans. 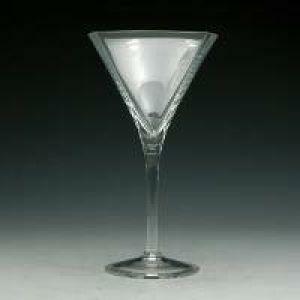 Drizzle white, milk or dark chocolate syrup in the glass before you pour your Martini. Use mint liqueur for a refreshing kick, and garnish the beverage with fresh mint leaves. In the summer, try the frozen version by blending the ingredients together with ice. Whether you are a fan of white chocolate or not, chances are you will enjoy this cool, creamy cocktail. Impress your friends by mixing up a few at your next get together, or keep the deliciousness all to yourself!